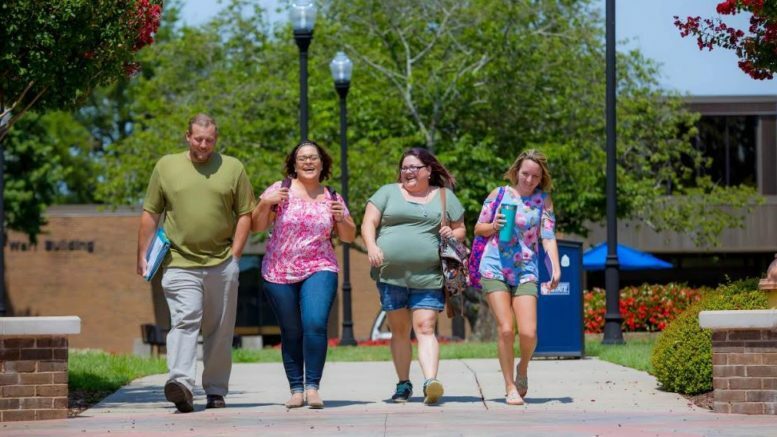 Image: Vol State students on the Gallatin campus. Summer classes at Volunteer State Community College are a way for students to get ahead in their college career. University students, home for the summer, can take general education courses at Vol State to meet university requirements. Current Vol State students can take classes to speed-up their path to graduation. New students can even start a college career with summer classes. They come in three different versions, designed to fit around family holidays and other summer events. The first option is an intensive three-week session class. There will be four of those sessions during the summer, with courses starting on May 20, June 10, July 1, and July 22. The start date for first six-week and twelve-week classes is also May 20. The second six-week term starts on July 1. Full summer term and first nine-week classes start on May 20. Second nine-week classes start on July 1. The shorter sessions are more intensive with classes held for a few hours each day. Summer classes are offered in-person, online, and in a wide variety of subject areas. They are held on the Vol State campuses in Gallatin, Springfield, Cookeville, and Livingston. One of the three-week courses being offered in Gallatin this summer, starting on May 20, is Essentials of Biology (1030). It’s a quick way for non-science majors to fill this requirement. However, like all of the three-week courses, it is intensive and requires complete commitment. New this summer will be Introduction to Early Childhood Education (ECED 1310) for education majors. It will be held in a six-week session. New and readmit students will need to apply to the college. That can be done online at www.volstate.edu/apply. Students can visit the Admissions Offices in person at the campus of their choice. The phone number for Admissions in Gallatin is 615-230-3688. Be the first to comment on "Get Ahead In College With Vol State Summer Classes"